Magda is tall and glamorous, Nadine is willowy and ‘gothic’. And Ellie . . . well, Ellie is just plain normal. The three girls have been best friends forever, but now Ellie is convinced she’s fat, Nadine wants to be a model, and Magda worries that her appearance is giving guys the wrong idea. The pressure is on for them to change the way they look – but can they learn to love themselves, just the way they are? 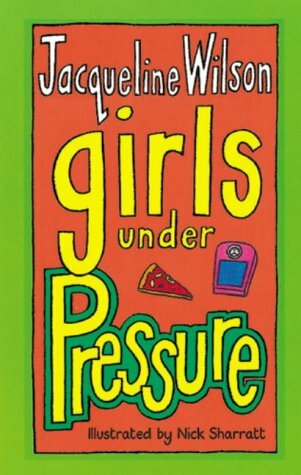 Girls Under Pressure is on our UKYA Top 100 list. Categories: England, Social/Family | Tags: Jacqueline Wilson | Permalink.